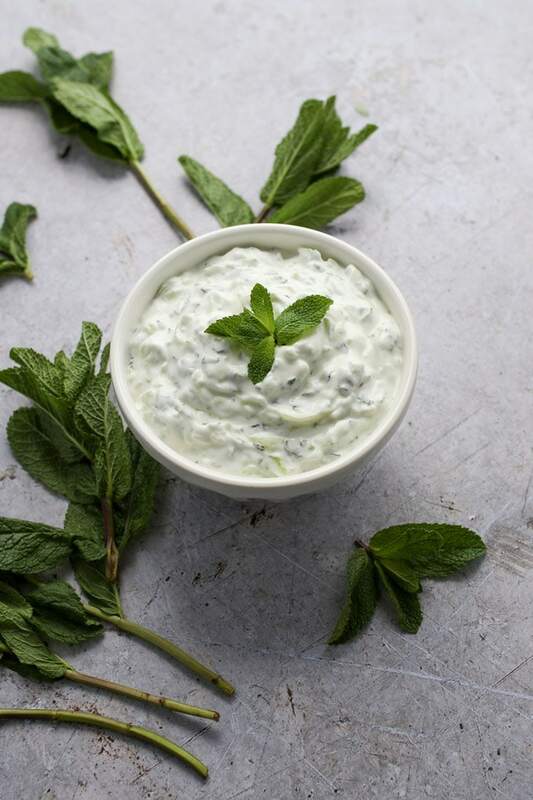 Cooling, creamy, minty cucumber raita is the quintessential accompaniment to Indian curries, kebabs, biryani and virtually any spicy dish. 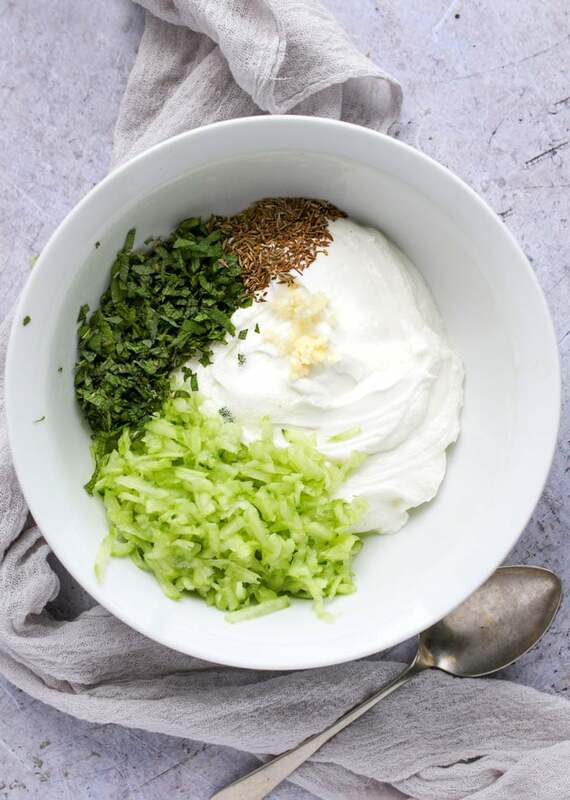 I love setting out a big bowl of cucumber raita on the table when I serve Indian food. It’s very easy to throw together and whether you spoon it over your spicy curry or dip your naan into it, it makes the meal extra special. 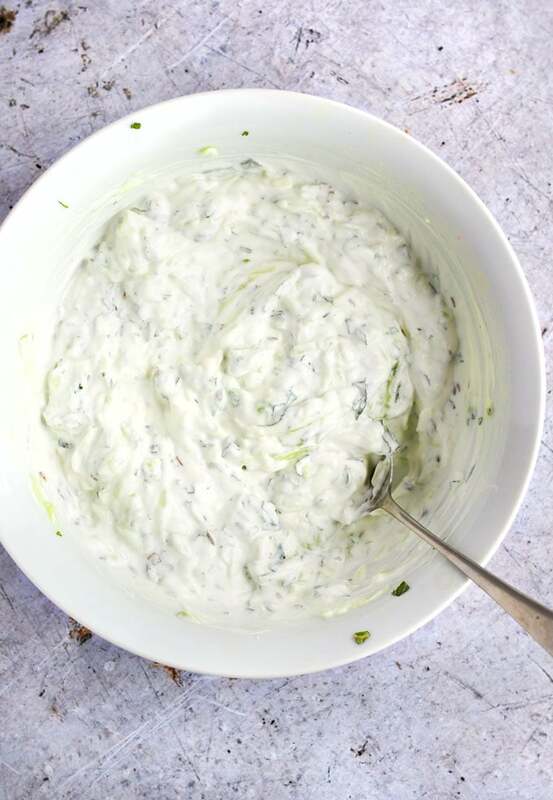 This cucumber raita recipe has been here on this blog for a long time, but it was hidden in my Lamb Biryani post. When I made lamb biryani the other day, I realized cucumber raita needs it’s own exclusive place on Panning The Globe. Raita is such a wonderful thing, so delicious, easy to whip up and an absolute ‘must’ when serving spicy Indian food. 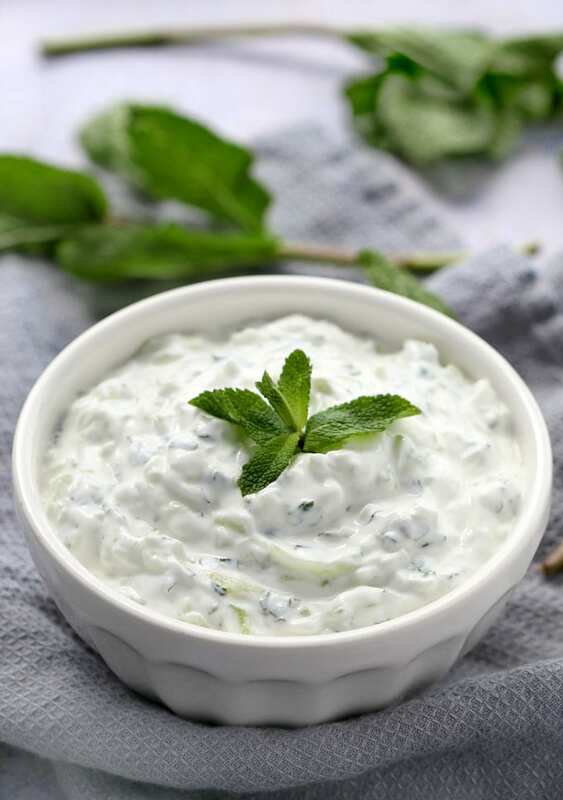 Cucumber Raita is a yogurt based condiment and a popular staple on the Indian table along with chutneys and pickles. 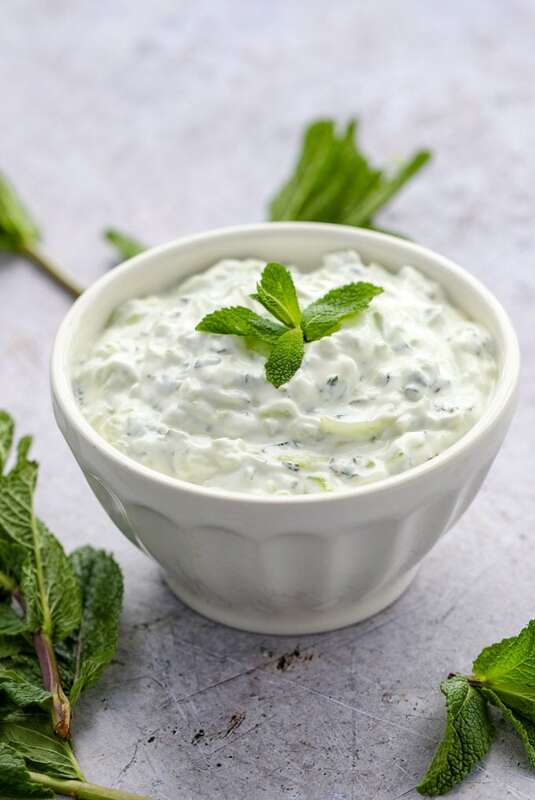 But unlike chutneys which are meant to add flavor and kick to a dish, raita has subtle flavors and is designed to cool a dish down. Dairy has magical properties that counteract fiery spices. Yogurt, sour cream and milk can all do the trick. I remember the occasions when my kids overdid the hot sauce and there would be gasps and cries for “get me a glass of milk!” It really works. When spicy food is paired with cool and creamy cucumber raita, it takes the edge of the heat so you can better taste the flavors in the dish. Plus the bright fresh flavors of cucumber and mint are a lovely complement to a rich spicy curry, stew or kebab. Some say raita is also appreciated for the digestive benefits in yogurt. Yogurt is rich in probiotics which aid in digestion and can be especially soothing when consuming certain rich or excessively spicy foods. The cucumber can be chopped or grated. Start with a firm english hothouse cucumber. Peel it. Cut it in half lengthwise, and use a small spoon to scrape out the seeds that run down the center. 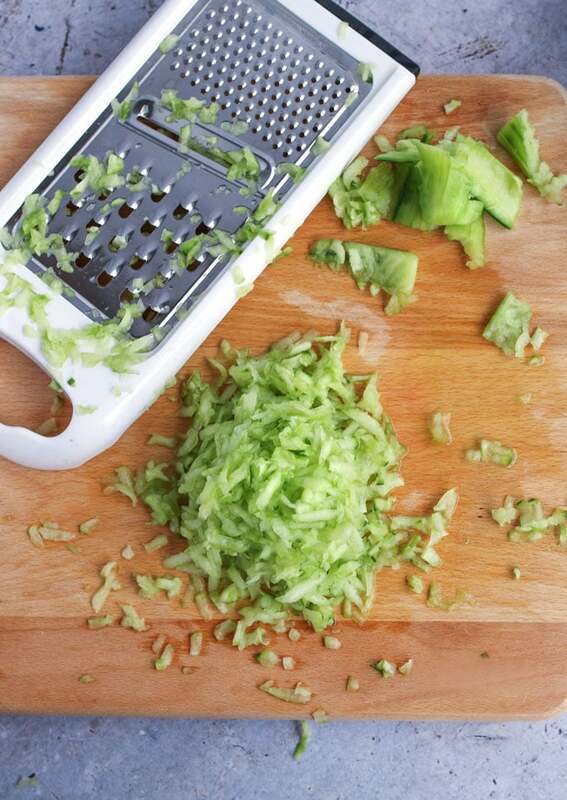 Then either chop or grate. 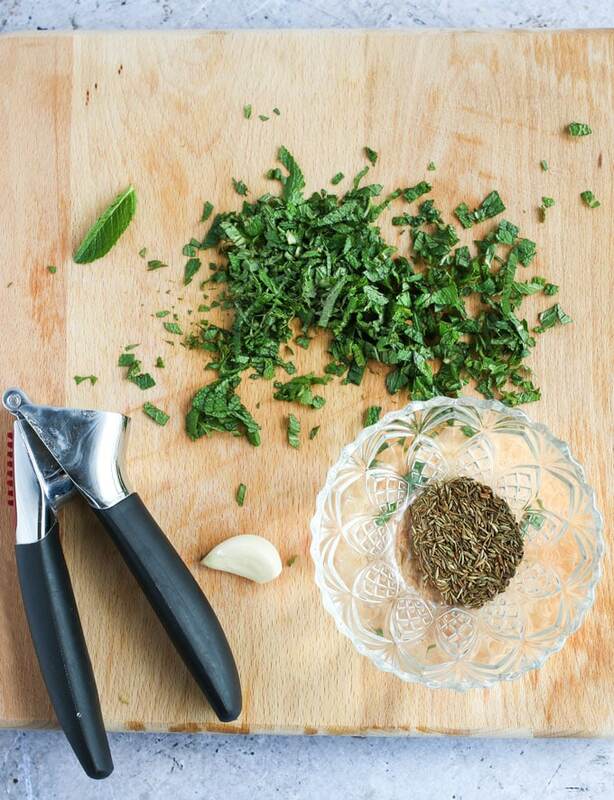 Chop the fresh mint leaves. Toast a tablespoon of cumin seeds for a few seconds in a dry skillet. Toasting brings out their best flavor. You’ll need one good sized garlic clove which you can squeeze into the raita using a garlic press. Scoop 2 cups of plain Greek yogurt into a large bow. Add cucumber, mint, cumin, garlic and salt. Stir gently to combine. Season with more salt, to taste. Scoop raita into a serving bowl. Garnish with a mint sprig, if you like. If you’re looking for a delicious dish that goes with cucumber raita try this Indian Lamb Biryani recipe. It’s consistently one of the most popular recipes on this site and in my house. 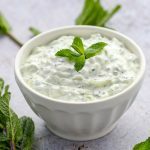 Here’s the cucumber raita recipe. If you try this recipe I hope you’ll come back to leave a rating and comment. I’d love to know what you think. 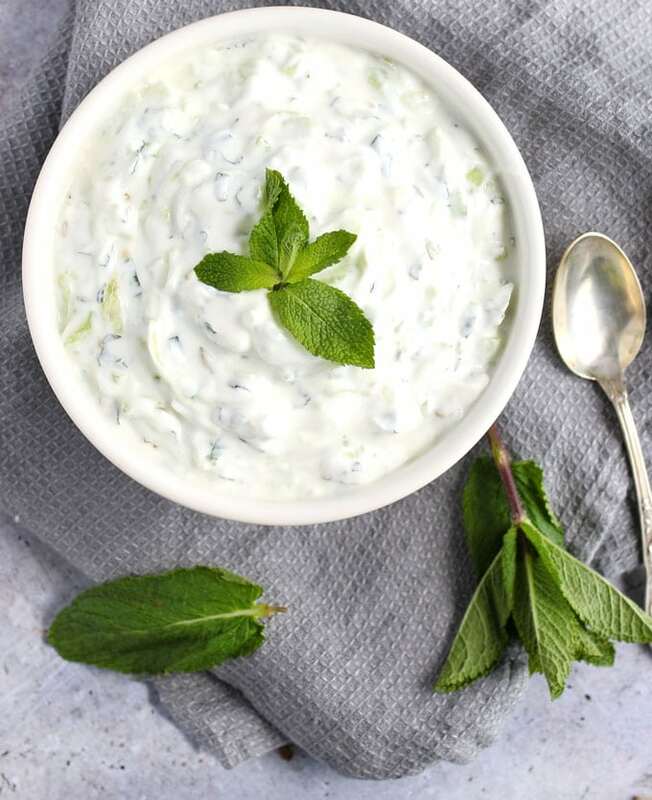 Cucumber Raita is a delicious creamy, cooling condiment that’s the perfect accompaniment for Indian curries, stews, kebabs or any spicy dish. 1 cucumber, peeled, halved lengthwise, seeds scraped out with a spoon, and grated or finely chopped. Mix all the ingredients together. Season to taste with salt, if needed. Keep covered in the fridge until ready to eat.